Join us Wednesdays Dec 2, Dec 9 & Dec 16 for LoveFeast, a much-loved Lake Park tradition! We’ll dine together, sing and worship all at one massive table that spans the Chapel through to the Mary Martha Room. Come! 6-7pm. 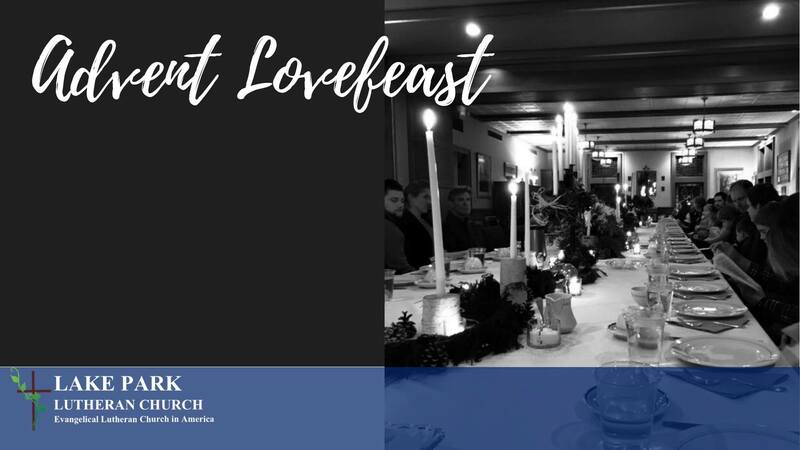 Lovefeast, December 5th, 12th & 19th Join us for what has become a much loved Lake Park tradition. We’ll dine, sing and worship all at one massive table that spans the back of the Mary & Martha Room to the front of the chapel. Come! Christmas Decorating and Caroling, December 9th After worship on December 9th we’ll be decorating the Christmas tree and then going caroling. Please mark your calendar to join us for a festive afternoon of Christmas cheer! Advent Wreath Making, December 2nd After worship on December 2nd, we’ll be preparing for Advent together by making Advent Wreaths (LOGS??? ).This is a great opportunity for families to make something together that they can use throughout the Advent season at home! On November 15th, join us for an Advent Family Night from 5:30-7:00pm. We’ll hear some stories, do a simple craft, and learn what Advent is all about. This event will include a simple dinner and is geared towards familieswith young children. Midweek Worship, Wed Sep 12th, 6:30pm. 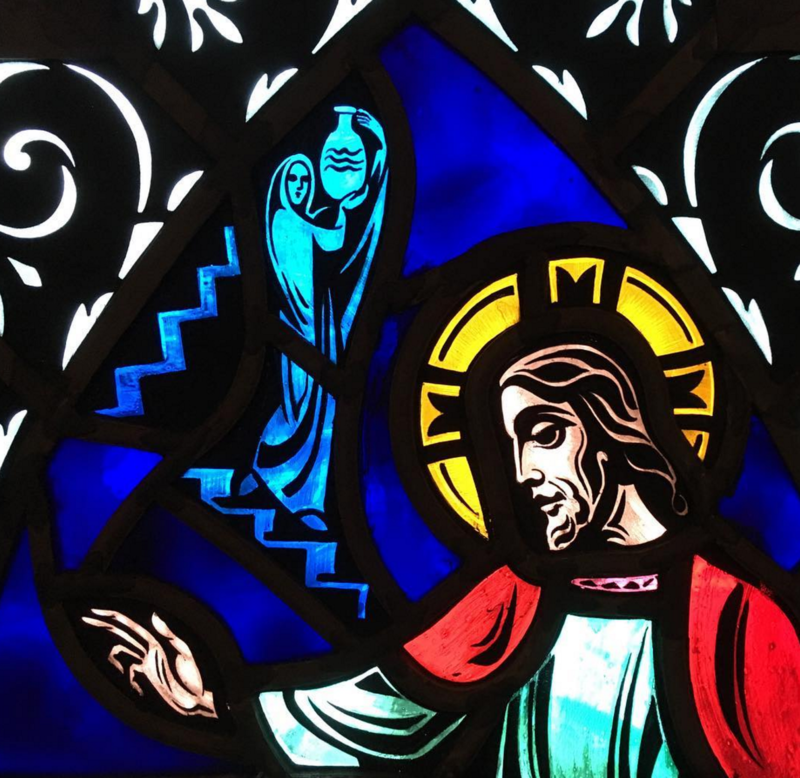 Need a quiet, peaceful, contemplative break in a beautiful chapel in the middle of your week? Join us every Wednesday 6:30pm, followed this week at 7pm by our Confirmation & High School Groups, and at 7:15pm by the Choir! Women’s Circle, Sep. 18th Our next Women’s Circle gathering will take place on September 18th from 6:30-8pm at church. We’ll have a bonfire and share stories about the journeys we’ve been on this summer! Bring snacks if you’d like. Women’s Circle is an open group and all women (of any age) are welcome! 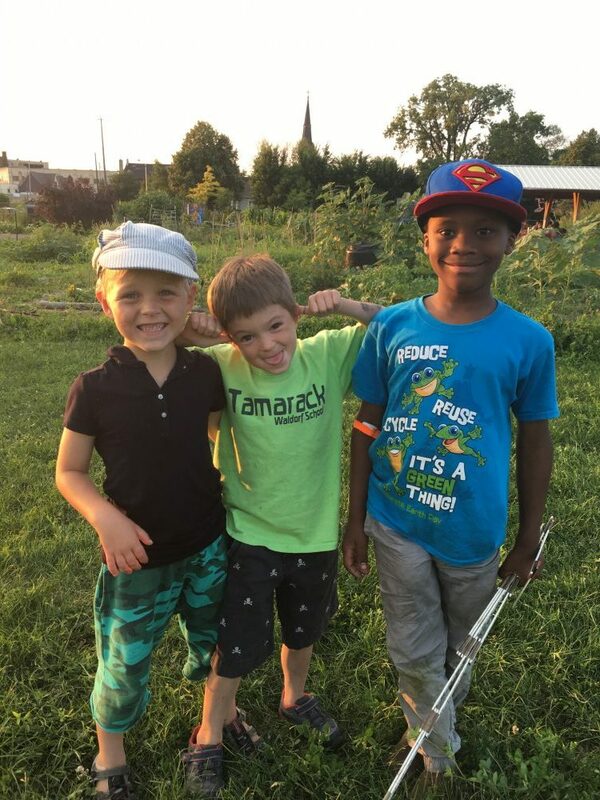 Alice’s Garden needs volunteers, Sep. 15th!